Interested in building your own website? Whether it’s for business or personal use, it’s oftentimes harder than you may think. In fact, it can be challenging to pick the right website builder for your needs. The long and short of it is, there’s lots of variety (in terms of website building tools) out there. This makes it extremely difficult to distinguish the good ones from the bad. For instance, although ease of use and affordability are important criteria, they are not enough to help most get the job done. Make sure that the tool is responsive so that your site is easily viewed on mobile devices. This will ensure that your site will be user-friendly enough to remain competitive in its niche. Pick a tool with a wide variety of widget choices. 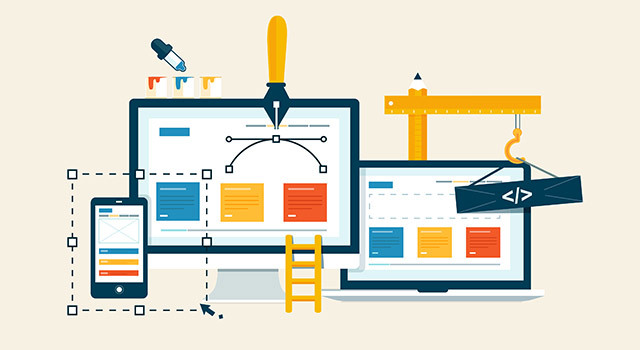 This will help you become a better and more proficient website designer. This website building tool has undergone recent renovations to make it easier and faster for users to create responsive and up-to-date websites. With SnapPages’ powerful and easy to use drag-and-drop tools, virtually anyone can build a professional-looking site. They also offer professionally created website template designs that are easy to customize for your own use. And, that’s not all – the team behind this innovative tools also takes care of your server and web hosting considerations. In this way, instead of giving you a ton of features to convince you to buy their products, the developers have placed their focus on providing users with what they need and want, nothing more, nothing less. Last, but not least, this tool has a special feature that will help you filter your comments in an effort to eliminate spammy posts. This also saves you time because you won’t have to monitor your comment section as much. Wix is one of the best tools on the internet to help you design your site. In fact, some would say that it is the best. It provides users with a fully customizable platform with a host of different features. Furthermore, their packages come with a free Wix domain name as well as 1 GB of bandwidth. SiteBuilder makes it very easy to create a website. This is largely due to its selection of over a thousand templates and a drag and drop interface. And, if you are looking for a little something extra, it will please you to know that the company offers professional site design services as well. SiteBuilder also offers an e-commerce feature that gives you the ability to sell products. Another important feature is something called analytics tabulation, which gives you the ability track not only how home many people are coming to your site, it shows you how they’re getting there as well. And, that’s not all. It’s easy to use blog feature enables you to include great content on your site that will keep your customers engaged. Furthermore, in terms of your web address, SiteBuilder does this too. They offer annual packages for their domains names which include email addresses. There are also some packages that will allow you to register your domain free of charge (for a year) as well. So, what did you think of the website builders listed above? Have you used any of them before? Are you interested in trying them out? Share your thoughts below.